The Wichita County Medical Alliance is currently raising funds to build a brand new splash pad. With your financial support, the splash pad will be an exciting new addition to Hamilton Park. This will be the only FREE splash pad in Wichita Falls. It'll be centrally located on our Bike Trail and next to the brand new Hamilton Park Playground. 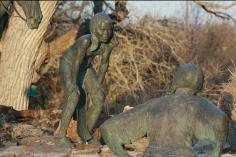 The city has approved this project and we are in the fundraising stage. Please join us in our effort to fully fund the splash pad by purchasing a personalized engraved brick that will become a permanent part of the grounds surrounding the splash pad. 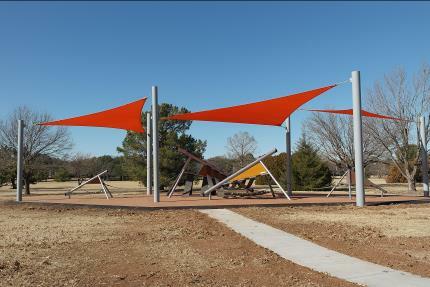 The Wichita County Medical Alliance installed a new and modern, artistic play structure at Hamilton Park. We have chosen new and updated playground equipment that offers children and families a fun place to be active in a very busy part of the city. Thank you to the Wichita County Medical Alliance members and donors who made this possible. - The due date for applications is June 1, 2019.